BELLEVILLE – The Belleville Police Service invited the community on Tuesday night to give their input for the police department’s new community safety plan, which will serve as a guideline to what the police need to focus on for the next three years. 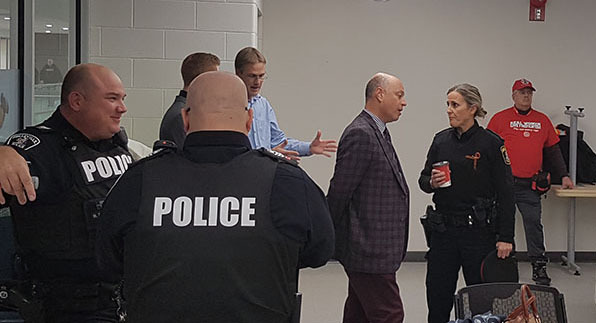 Around 30 people showed up to the second-floor meeting room at the Quinte Sports and Wellness Centre to view the results of a public survey conducted with the Loyalist journalism program, and to give their thoughts to the police. Insp. 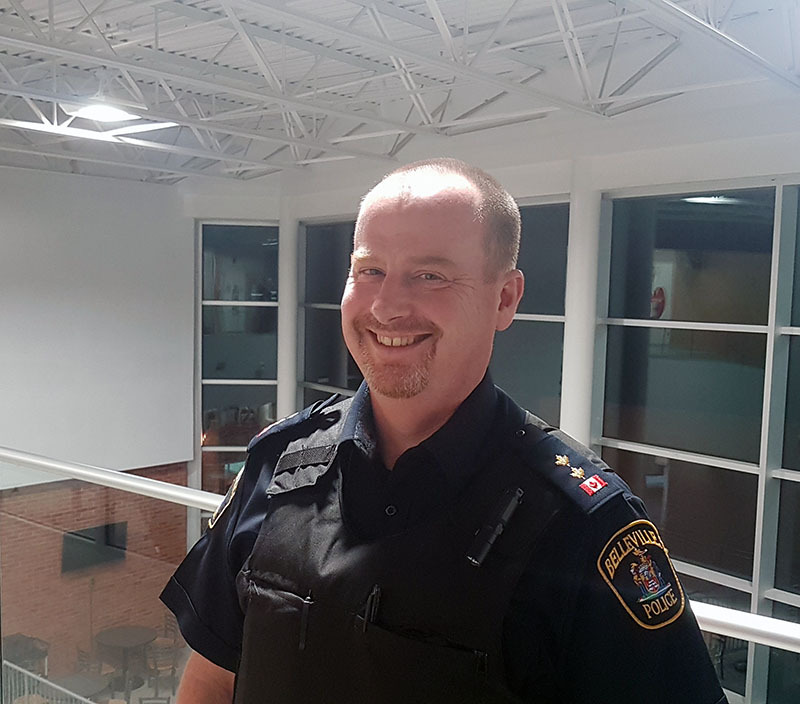 Chris Barry, who was heavily involved with the project, said the surveys and town hall meetings with citizens together will help make Belleville a safer place. Det. Joseph Yanch, a member of the police department’s drugs and intelligence unit, said he hopes events like the public meeting will help make the public aware that the drug trade is prevalent in the area. “I don’t think a lot of people see that, because in certain communities and certain demographics you don’t get the drug trade. But it’s prevalent and it’s here,” Yanch said. Crimes such as assault and theft are connected to drug trafficking, Yanch added. According to the Maclean’s Crime Severity Index, Belleville’s crime rate decreased from 2017 to 2018. However, the index points out that Belleville’s assault and breaking and entering rates still rank above the Canadian average. Police Chief Ron Gignac said these problems are already in the police department’s strategic focus thanks to the input the police have received from the public. Thanks to programs to educate people on the consequences of assaults and thefts, these numbers will continue to go down, he said.